The product range of La Chinata is unique and beautiful. Rarely does one find delicacies of such variety of flavor and aromas made from all-natural ingredients. 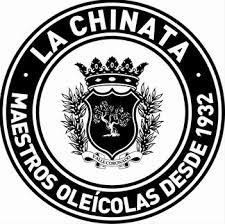 La Chinata began with the production of high-quality olive oil many years ago. Ever since, only selected olives from the Sierra de Gata-Hurdes in northern Cáceres are used. These are the sweet fruity "Manzanilla Cecereña", which make olive oils rich in unsaturated fatty acids more than other varieties. The olives are harvested and selected by hand. Another selection is made right before the pressing, which is done with gentle pressure. The olive oil "En Rama" is a special premium product with tradition, it is unfiltered. It is hard to find a more authentic olive oil of such purity with the pulp of the olives.